Today we’ve posted reviews by Ghent University’s Omar Jabary Salamanca and the University of Minnesota’s Basil Mahayni. 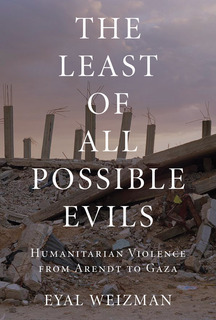 Omar reviews Eyal Weizman’s The Least of All Possible Evils: Humanitarian Violence from Arendt to Gaza, Basil reviews Bassam Haddad’s Business Networks in Syria: The Political Economy of Authoritarian Resilience, and both are available here. 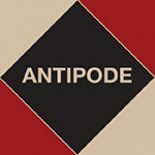 All Antipode book reviews are now freely available online – not only those on AntipodeFoundation.org but also our back catalogue in Wiley Online Library. From January 2013 we no longer publish new book reviews in the journal: all now appear exclusively on AntipodeFoundation.org. This move allows us to feature not only more reviews, but also more substantive reviews (in the style, say, of the London Review of Books), more quickly. It will, we hope, transform the book reviews section into a more capacious ‘Book reviews, etc.’ section, that may now feature, in addition to book reviews, reviews of film and music, grey literature, and political pamphlets – in fact, any texts that have something to say to the radical geographic imagination. If you’ve an idea for a review, please get in touch with Vinay Gidwani. Eyal Weizman reviewed in Antipode – with news of book reviews being available open access. 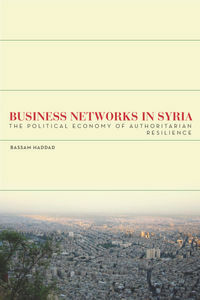 This entry was posted on 13 March 2013 by Antipode Editorial Office in Reviews and tagged Basil Mahayni, Bassam Haddad, Business Networks in Syria: The Political Economy of Authoritarian Resilience, Eyal Weizman, Omar Jabary Salamanca, The Least of All Possible Evils: Humanitarian Violence from Arendt to Gaza.